Are you struggling with the decision of whether to install single gates or double gates on your equine property? Double gates, which open out from the center into either direction, provide more space than single gates, but they can also be difficult to navigate. Buckley Fence, LLC has come up with a solution to that, though – read on for some of the pros and cons of these different gate systems. Single gates present an opening that’s simple to navigate. Single Steel Board Gates are available from Buckley Fence in a variety of sizes, including the standard 4-foot, 8-foot, and 12-foot lengths. 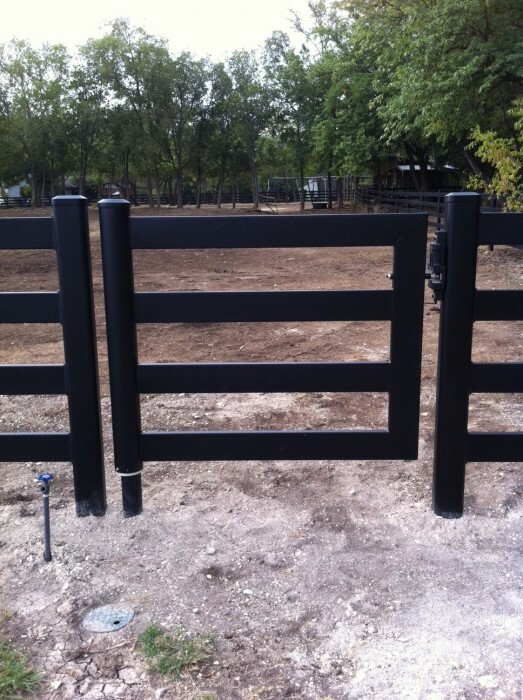 A smaller single gate may be perfect for a small horse pasture or corral, while a larger single gate may be more applicable for a large pasture or for a riding arena. Single gates are usually easy to navigate both on and off of a horse, because you’re only dealing with one gate and one latch. 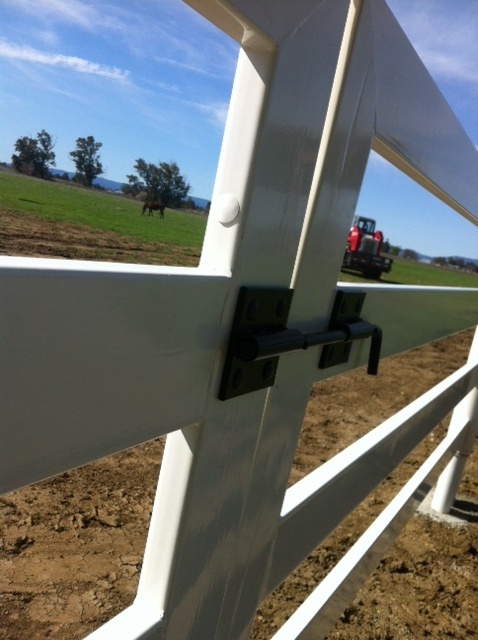 Buckley Fence, LLC offers the EZLatch for single horse gates. The EZLatch can be opened and closed from horseback in both directions, is horse-proof, and is made to last. The single gate can provide an advantage when you’re turning a horse out into or bringing him in from a field where other horses are already loose – it’s simpler to quickly bring a horse through a single gate than it is to navigate a double gate quickly. Double gates are often preferred for their versatility. They offer greater accessibility for wider vehicles that might not be able to easily fit through a single gate. Double horse gates can be ideal for property entranceways or border fencing, as well as for entrances to arenas or pastures that large machinery will need access to. The difficulty with double gates arises in navigating them. Because the gates latch together at the center, you often need to be able to pull both gates together in order to latch them. This is difficult to do on foot, let alone from horseback, so many people steer away from double gates unless they absolutely need them. For double gates, Buckley Fence, LLC has offered a color-matching bolt on a ground anchor system. 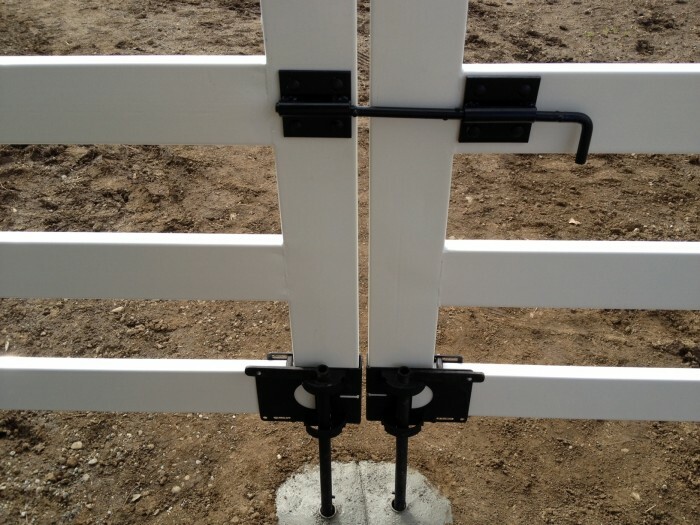 This acts to provide each of the double gates with its own anchor to keep it closed, but it does require you to get off of your horse and lacks the convenience of the EZLatch system. When a customer wanted the EZLatch system’s convenience on a set of double gates, Buckley Fence, LLC engineers went to work designing a new system. Buckley Fence, LLC came up with a dual gate system that involves mounting both a ground anchor and an EZLatch on one gate. 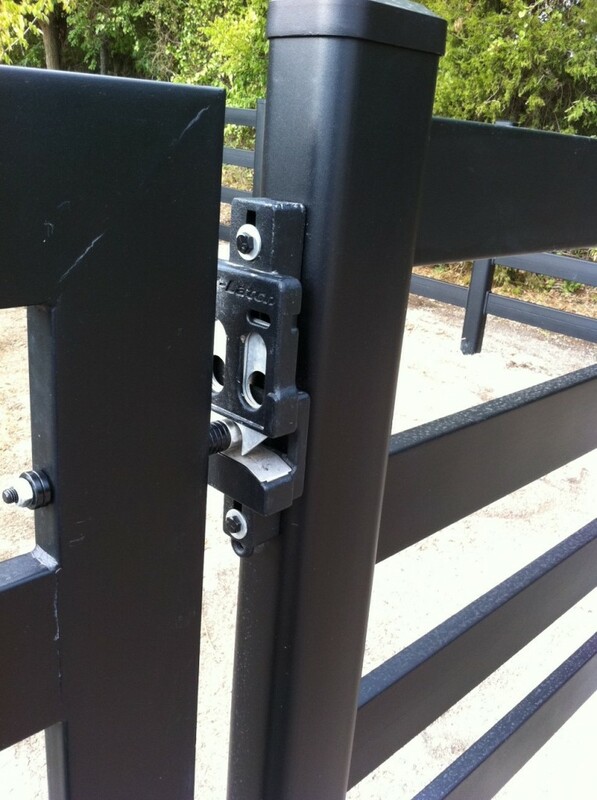 By mounting the latch pin of the EZ Latch system on the other gate in a unique position, a rider is able to use the EZLatch system from the saddle to open one of the two gates without the other swinging loose. However, both gates can still be opened to allow large equipment through when needed. Thinking of installing gates or fencing on your farm, but have some unique needs? Call Buckley Fence, LLC and let us design something special for you.